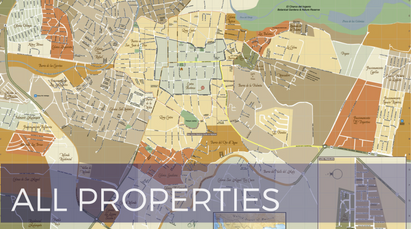 Lot Size: 5809 sq. 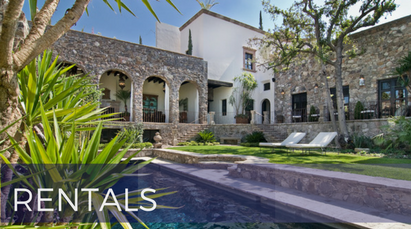 m.
Quinta Bella Vista is one of the finest estates ever offered for sale in San Miguel de Allende. 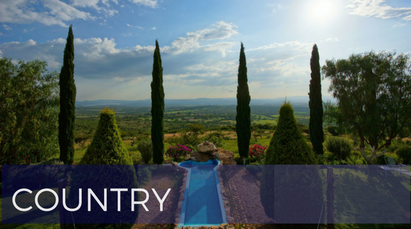 A private, secure compound on over 1 1/2 acres overlooking all of San Miguel, this property offers space for entertaining on a grand scale. Each of the three homes on the property offers comfortable accommodation for guests, and each has spectacular views and access to lush terraced gardens. The main 7,500 square foot residence has three bedrooms, living room with soaring ceilings and windows overlooking the valley. 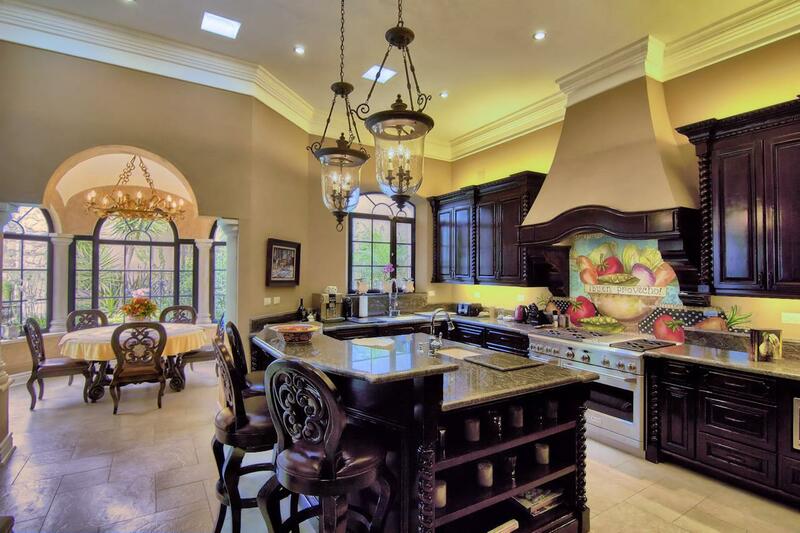 The gourmet kitchen is perfect for large gatherings, and there is a dining room that seats sixteen guests. Nearby, the three bedroom guest house has a spacious master bedroom, double-height living room, terraces, and two guest bedrooms. The separate two bedroom gate house has a spacious loft, perfect for relaxing. 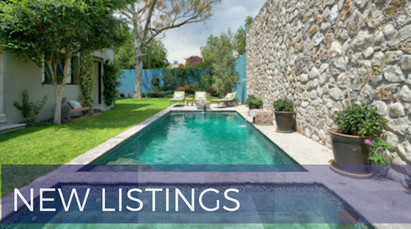 With parking for nine cars, staff quarters, and over an acre of professionally landscaped gardens, Quinta Bella Vista is a perfect estate for the discerning buyer. 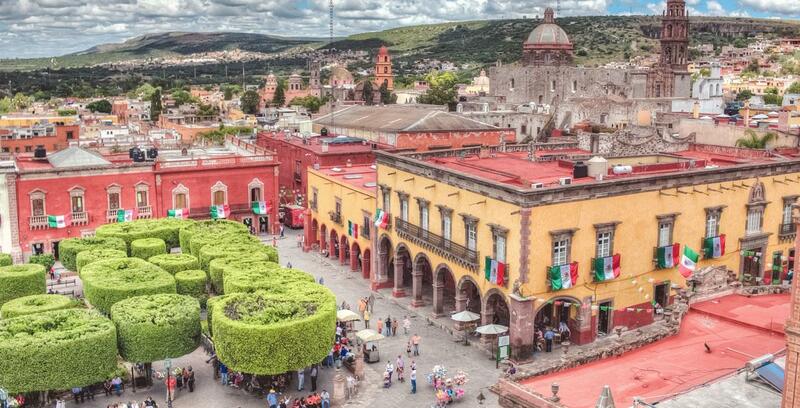 Quinta Bella es una de las mas finas propiedades puestas en venta in San Miguel de Allende. Privada, segura, compuesta en mas de 1 1/2 hectareas con vistas a todo San Miguel, esta propiedad ofrece espacios para entretenimiento a gran escala. Cada una de las 3 casas en la propiedad ofrecen confortable espacio para visitas, y cada una tiene vistas espectaculares y acceso a los jardines y tezarras. La prinicpal con 7,500 pies de construccion, tiene 3 recamaras, una sala con techos altísimos y grandes ventas con vista a las montañas. La cocina gourmet es perfecta para grandes receptiones, y hay un comedor con lugares hasta para 16 invitados. Cera de ahí, la casa para huespedes tiene 3 habitaciones, la principal que es muy amplia, sala de doble altura, terrazas, y 2 cuartos mas para invitados. Y por ultimo,la casita cerca de la entrada con 2 habitaciones cuenta con un espacioso loft, perfecto para relajarse. Con estacionamiento para 9 carros, cuartos de servicio y mas de una hectarea de un profesional diseño en los jardines, Quinta Bella Vista es perfecta para un comprador perspicaz. Stunning loft-like living room has walls of windows overlooking San Miguel, Juarez Park and the entire valley. 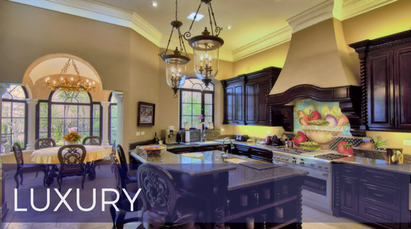 With carved stone fireplace and cozy seating areas, this room is ideal for entertaining. The grand dining room in the main house has seating for 16 guests. The fireplace is located in the center of the room, from which you can see the living room and views of San Miguel. The gourmet kitchen has stainless appliances, generous storage, a prep area and large cupboard. Great for relaxing and perfect for preparing meals for guests. There is a side entrance for staff. Located near the master bedroom, this cozy den is perfect for relaxing by the fireplace and reading a good book. There is access to the view terrace from this room, allowing for indoor-outdoor living. The covered terrace has seating areas overlooking all of San Miguel and the valley. 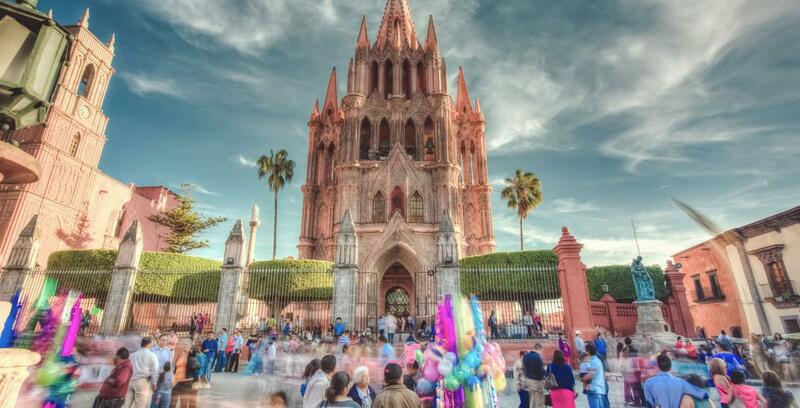 The fountain provides a dramatic place from which to see the Parroquia and the historic Centro. Approaching the main house, one finds a beautiful fountain in the covered walkway. Upon entry is a spacious entry hall with half bath and atrium. Located on the main floor, next to the den and opening to the outdoor terrace, this bedroom has a cozy fireplace and a luxurious master bathroom. In the main house are two equally-sized guest bedrooms. Each bedroom has an attached terrace and en suite bathroom, as well as a fireplace. The Guest house has a spacious master bedroom with large en suite bathroom with jaccuzi tub. There is a stunning view terrace and large closet. In the guest house is a spacious guest bedroom suite. This bedroom has a loft with sitting area, as well as an en-suite bathroom. This bedroom in the guest house is built into the cliff side. With natural rock walls and a separate entrance, this bedroom is a perfect secluded retreat. The gate house is located at the front of the property. It has two bedrooms, including a loft bedroom in the double-height living room, two bathrooms, fireplace, and a separate entrance. 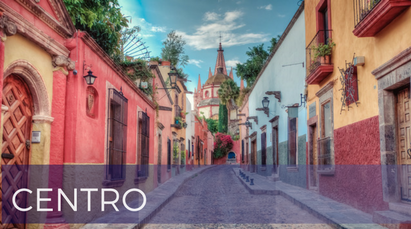 Quinta Bella Vista has the largest garden in Centro, terraced from the street to an entrance abutting the Cultural Center. There are nearly 6,000 square meters of beautiful gardens.